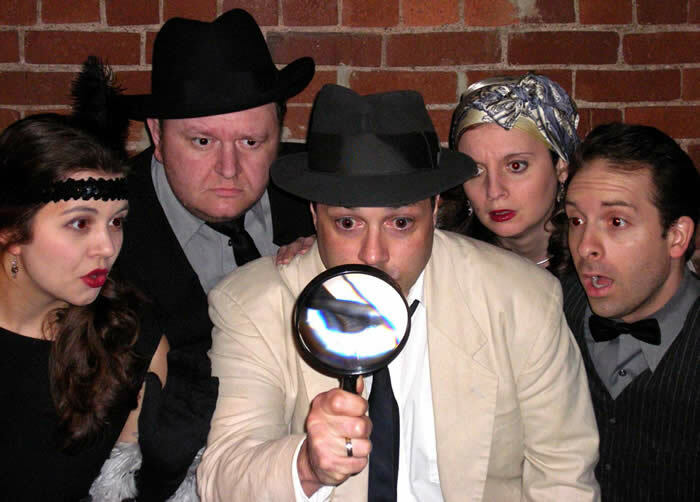 Pittsburgh best Murder Mystery troupe returns to The Oaks Theater with this great Valentines Day Murder Mystery "I Loathe Lucy." Somebody has some "Splanin to do" When Americas favorite red head turns up dead. Has Ricky tired of her attempts to "Be in the show" or has Ethel finally become fed up with Lucy's Wacky Ways. You decide as part of this immersive murder mystery! The Oaks Theater is a spectacular new entertainment venue that offers a variety of programming from live music, to movies, comedy, performances and more. Experience entertainment in a revived 1938 Art Deco Style theater with modern amenities including a full bar, table seating, and state of the art lighting and sound. It all comes together to provide you with an incredible and unique experience! Full bar, delicious light fare and snacks. Both table seating and theater seating are available. Free parking on Allegheny River Blvd. and side streets. Downtown entertainment with a small town fee!